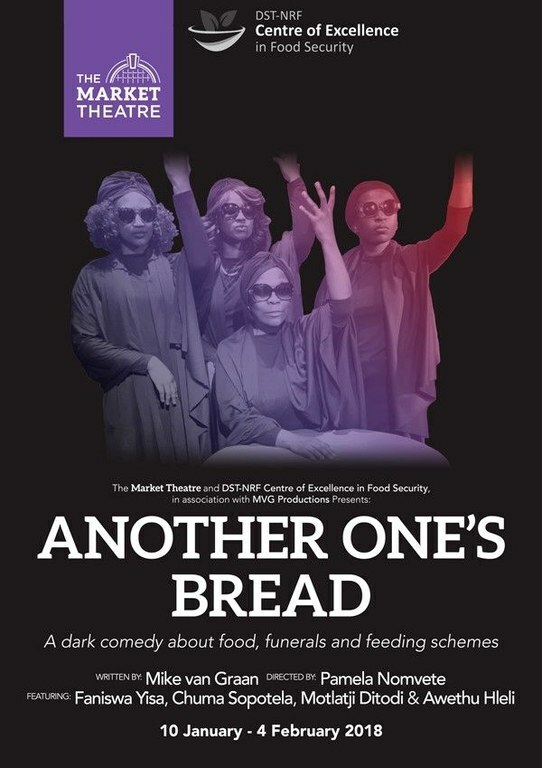 Commissioned by the Centre of Excellence in Food Security at the University of the Western Cape, Another One’s Bread explores various themes related to hunger in the context of the relationships between four women – a retired teacher, a writer, an estate agent and an unemployed young woman. 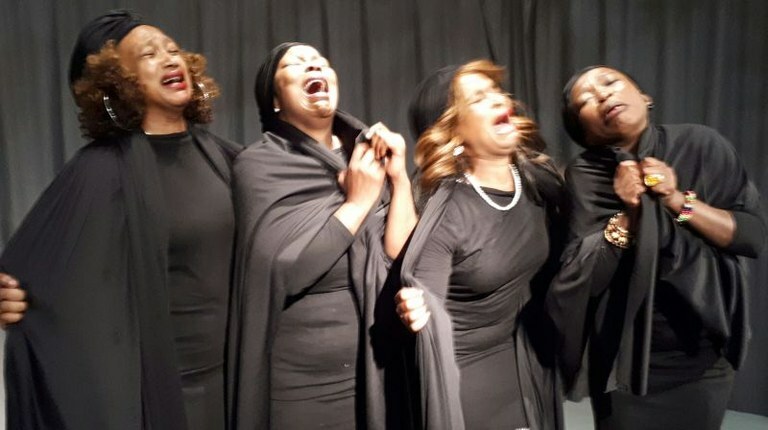 What keeps these disparate women from Khayelitsha together is their membership of THE SUBSTITUTES, a group of professional mourners, hired to provide mourning-related services at funerals. The play takes its title from the Afrikaans expression “een man se dood is ‘n ander man se brood” (one person’s death is another person’s bread”. The play was first performed as a one-off at the District Six Museum on 12 November 2017. It’s first season was at the AFDA Theatre in Observatory, 1-9 December 2017. What a wonderful evening of great theatre. 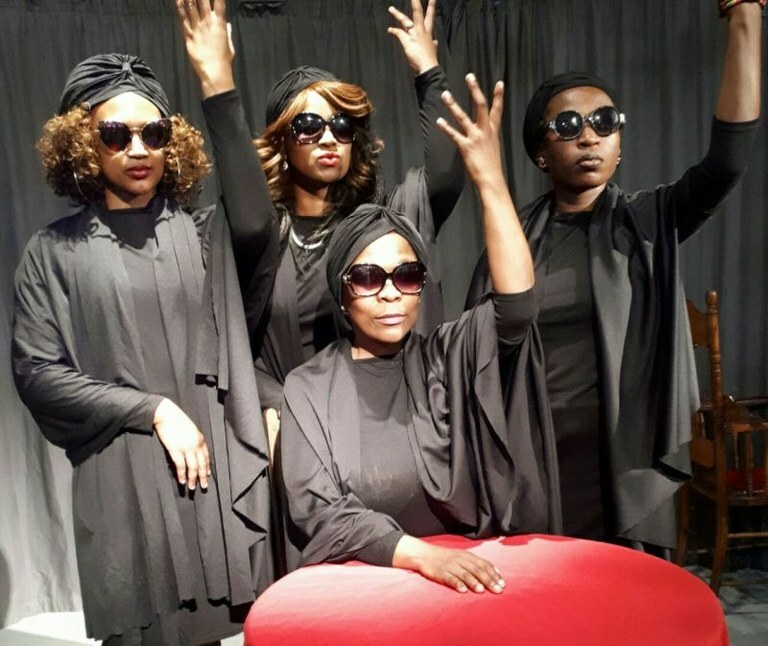 The music of Brenda Fassie serves as a prelude to a humorous play about deaths, funerals, eating and mourning. If you are a theatre lover, this is a show not to be missed. With any new Mike van Graan play, one anticipates being simultaneously entertained and educated. Another One’s Bread, despite its serious subject (food insecurity), delivers on both fronts.